Thomas Edison and EVPs: How did Edison Really Feel About Talking to the Dead? Home / Features / Thomas Edison and EVPs: How did Edison Really Feel About Talking to the Dead? How did Thomas Alva Edison really feel about death and the afterlife? 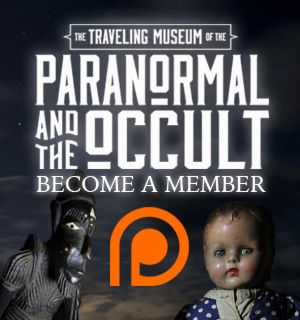 What happens when modern-day paranormal crusaders such as Christopher Moon try to use famous names like Edison for a platform to gain credibility and notoriety? As most of us do, Thomas Edison said a lot of things. Unlike most of us, however, he flip-flopped consistently on his beliefs. Having the brain of an inventor means that you have to think outside the box as a way of life. It seemed that his mind was always in over-drive and he would sometimes have his mouth engaged while his mind was wandering. Then, ten years later, Edison expressed just how much his views had changed in Scientific American, October 30, 1920. “If our personality survives, then it is strictly logical and scientific to assume that it retains memory, intellect, and other faculties and knowledge that we acquire on this earth. Therefore, if personality exists after what we call death, it’s reasonable to conclude that those who leave this earth would like to communicate with those they have left here. …I am inclined to believe that our personality hereafter will be able to affect matter. If this reasoning be correct, then, if we can evolve an instrument so delicate as to be affected, or moved, or manipulated… by our personality as it survives in the next life, such an instrument, when made available, ought to record something. (At this point I must interject that the childish contraptions that are being used today, such as Chris Moon’s Telephone to the dead and Mark Macy’s Polaroid camera, seem very silly to the scientist in me…) Of course, the spiritual community (including Christians) now welcomed Edison into their fold. What was a better endorsement for belief of the afterlife than a converted famous non-believer? Now the once hated Edison became a poster child. But, as they say, nothing lasts forever… especially Edison’s opinions. I wonder why these later views aren’t as important to those trying to use Edison’s fame to bolster their own Edison was a genius, right? If he abandoned one opinion for another, it must have been because he was on to something, right? Right? Hello? Next Story → The Strange Case of Dyatlov Pass: What Caused the Mysterious Deaths of Nine Russian Hikers?